Watney is optimistic, smart, and resourceful - and it’s a darn good thing, because he happens to be an astronaut stranded alone on Mars. Believing he is dead, the rest of his crew escapes the planet’s surface and heads back to Earth. Watney must use his knowledge and ingenuity to survive until he can contact NASA and they create a plan to rescue him - which, if all goes well and it probably won’t, would be four years out. 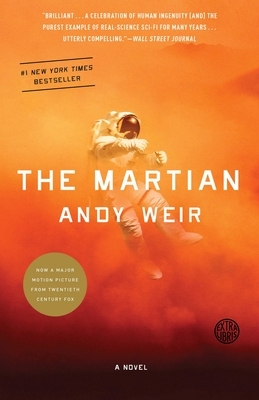 Watney’s essential good humor, resilience, and “can-do” attitude serve him well while he waits and hopes, as he so eloquently puts it, not to die. You’ll be chuckling and holding your breath at the same time!